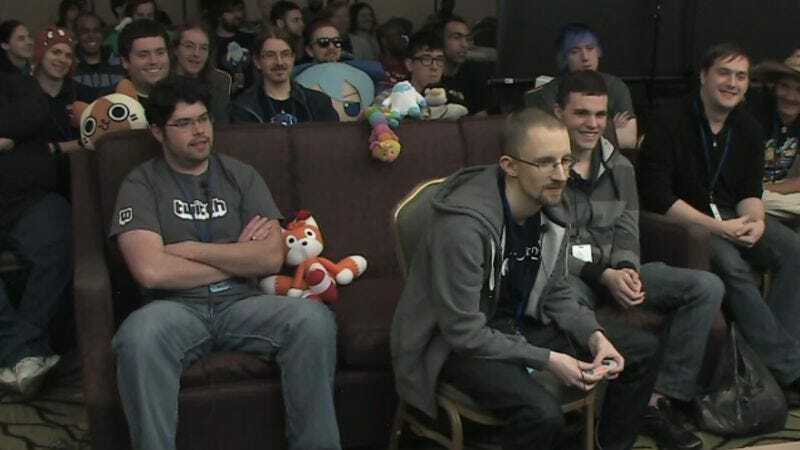 Yesterday was the first day of the fourth annual Awesome Games Done Quick marathon, a weeklong Internet charity drive of nonstop video game speedruns—stunts in which players try to complete a game as fast as possible. The participants will be using dark video game magic to bring beloved titles to their knees, glitching and exploiting their way through them in a fraction of the intended completion time. All donations go toward the Prevent Cancer Foundation, a cause the runners have been promoting with their marathons every January since 2011. Last year’s AGDQ brought in more than $448,000 for the foundation. The current marathon has raised more than $85,000 so far. Speed Demos Archive, a repository for hundreds of speedrun videos, organizes the event, which this year features completions of over 115 different games. Besides the sometimes-surreal trickery that’s on display during these performances, the most entertaining part of every marathon is listening to the players and their support teams describe the logic and history behind their arcane strategies, such as why a seemingly random series of commands can warp Link from Ocarina Of Time’s first boss fight to its crumbling castle finale. Donations are worth more than the comfort of doing something nice for other people. There are also plenty of prizes to be won and torturous added speedrun stipulations to be bought, like forcing a crew of runners to play Sonic R while in cosplay and singing the lyrics of its awful soundtrack. You can find the full marathon schedule on the Games Done Quick website and watch the madness on its Twitch.tv page. The marathon ends on Saturday night with the Super NES classic Chrono Trigger.